Metallurgy is the study of the underlying structure of metals and alloys. Examinations may range from a low magnification (-20x) to magnifications over 1,000,000x with the use of electron microscopes. The most familiar tool of metallography is the light (optical) microscope, with magnifications ranging from -50 to 1500 and the ability to resolve microstructural features of ~0.2 µm or larger. Another frequently used tool in metallography is the scanning electron microscope (SEM). Compared to the optical microscope, the SEM can expand the resolution range by more than two orders of magnitude to approximately 4 nm, with ultimate values below 1 nm. The SEM also provides a greater depth of field than the light microscope, with depth of focus ranging from 1 µm at 10,000x to 2 mm at 10x, which is larger by more than two orders of magnitude compared to the light microscope. Micrographs provide a permanent record of the structure of a material – which could include grain size, the size, shape and distribution of secondary phases and nonmetallic inclusions, and other heterogenous conditions – all of which influence the mechanical properties and behavior characteristics of the metal. The critical factor in the light microscopy of metals is the surface preparation of the specimen. The father of metallography was Henry Clifton Sorby – who in 1863 was the first person to examine properly polished and chemically etched metal samples under the microscope. Sorby understood the need for proper surface preparation when examining metals by reflected-light microscopy. Unlike biological samples, metals are opaque and thus require reflected light microscopy -biological samples are transparent and can be examined by transmitted light. The first step of proper surface preparation is carefully polishing the specimen. Many deficiencies arise when proper preparation methods are bypassed. False structures (or artifacts) can arise from the preparation in many ways. Because the structure of materials can be greatly altered by the generation of heat and plastic deformation, considerable care must be taken when cutting samples. An extremely smooth surface appears nearly featureless when examined by reflected light microscopy, because the light reflects uniformly from the surface and appears as a uniform contrast to the human eye. Thus, special techniques are required to enhance contrast differences between the different phases of constituents. These methods include etching, thin-film formation, or special illumination modes with light microscopes. Among the various contrasting techniques, chemical recipes for etching the surface are the oldest. Macroetching techniques were used to reveal the damask patterns of swords and various pieces of armor at least four centuries prior to Sorby’s experiments. In addition to metallurgical evaluations to understand material properties, mechanical tests can be performed, such as hardness, tensile, and fatigue. Hardness is the property of a material that enables it to resist plastic deformation, penetration, indentation, and scratching. The common type of testing is Rockwell hardness – which measures the additional depth to which an indentor is forced by a heavy load beyond the depth from a previously applied minor load. A tensile test is often performed to determine whether a material conforms to specification. The most common type of tensile test is done by gripping the opposite ends of a specimen and pulling it to a gradually increasing uniaxial load until failure occurs. The fatigue life of any specimen or structure is the number of stress (strain) cycles required to cause failure. This number is function of many variables – stress level, stress state, applied cyclic waveform, environment, and the metallurgical condition of the material. Most laboratory fatigue testing is either formed uniaxially or bending. Fatigue is the progressive, localized, permanent structural damage that occurs in materials subjected to fluctuating stresses and strains that result in cracks or fracture after a sufficient number of cycles. We were asked to investigate the failure of a pinion connected to a gearhead. We determined that the failure was due to torsional overload. 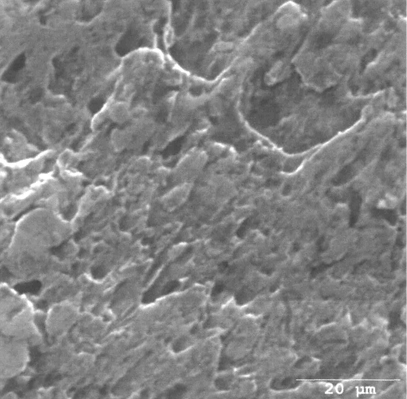 What you see here is an SEM image of the fracture surface. Learn from the experience of others. 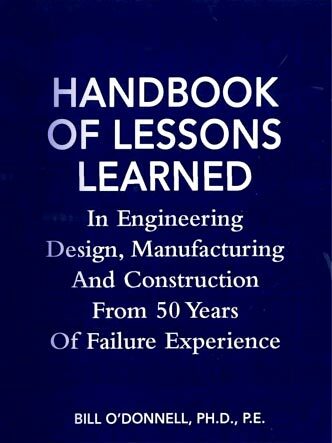 Especially when one such “other” is Dr. William O’Donnell, PhD, PE, Founder and President of O’Donnell Consulting Engineers, Inc., and ASME “Engineer of the Year” - his 50 years of experience in analysis of components including fatigue and fracture safety evaluations and failure analyses are now comprised in this volume. * Does not include shipping, handling or tax.